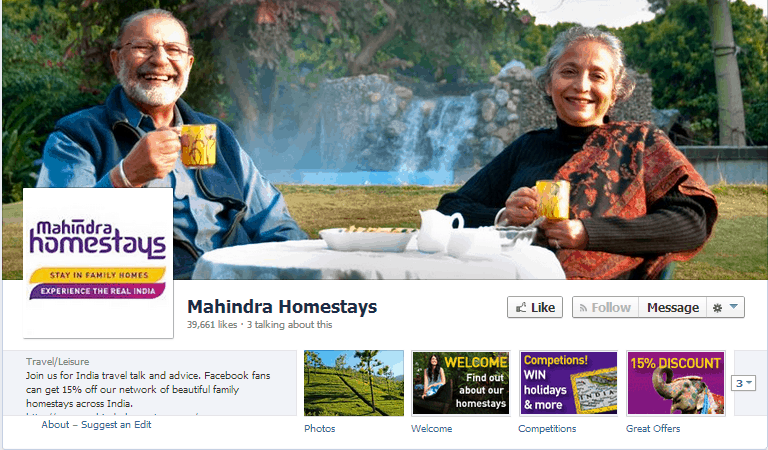 Mahindra Homestays has quickly established itself as a digitally-literate, self-assured and colorful brand that relishes dialogue and collaboration with its audience. Through innovative blog content and social media initiatives the company has built necessary foundations for any travel brand looking for success in the modern online marketing environment. 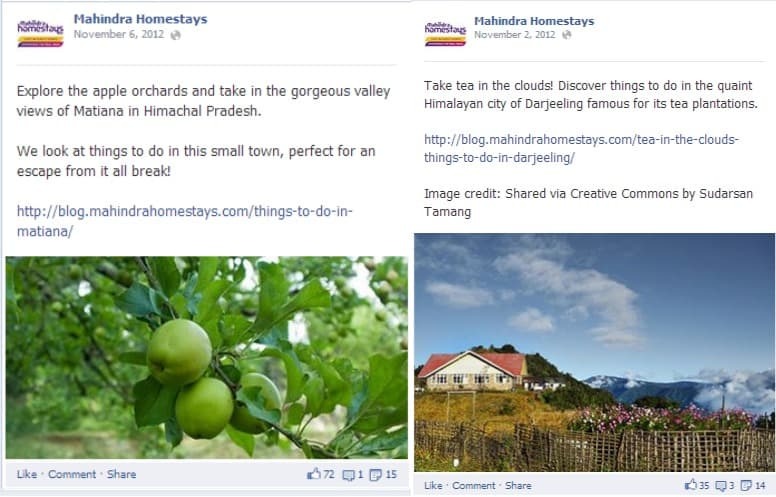 Mahindra Homestays is a unique Indian accommodation network. Launched in 2008, and initially targeting the UK and Indian tourist markets, it brings together a large number of premium family homes that have quality guest rooms. The unique selling point of a Mahindra Homestay is that travelers receive an original experience in each one, and a more authentic, rewarding and ‘real’ experience of India than they might otherwise get in a hotel. • To draw traffic and ultimately send it to the main site, a branded blog on the website called ‘The India Travel Blog’ was created. Employed keyword techniques and mostly used longtail keywords in the posts. 30 highly popular things-to-do articles covering key locations; features on Indian culture, history and traditions; stunning Indian photography collections; video tours of properties; original competitions, were uploaded on the blog. • In order to seed the blog content, answer customer enquiries and push fans to the main site at any relevant opportunity an attractive Facebook page with intelligent use of apps and features was created. User-centric initiatives such as our Photo of the Month contest were taken. • A Twitter page was created to accomplish the same goals as that of Facebook and also to build relationships with travel journalists, bloggers and travelers across the world. Participated in relevant discussions on Twitter. • 26 videos including host-led tours of accommodation as well as a short Kerala travelogue from some well-regarded UK travel writers were created and uploaded on YouTube. • Traffic to the blog has been increasing steadily since launch and currently it receives over 6,000 visits per month. Almost half of this traffic has come via natural search engine rankings. • Currently 10-20% of all blog visitors navigate to the main site and are more engaged that other types of referrals. • On average a blog visitor spends 50% more time on the site and visits 35% more pages. • Links to new blog content are being retweeted by a number of high profile followers that provides peaks in traffic. • Within one year there were 30,000 visits to their fan page. • They received over 21,586 views on YouTube. Mahindra Homestays videos dominate the search results on the leading keyword term ‘India homestays’.